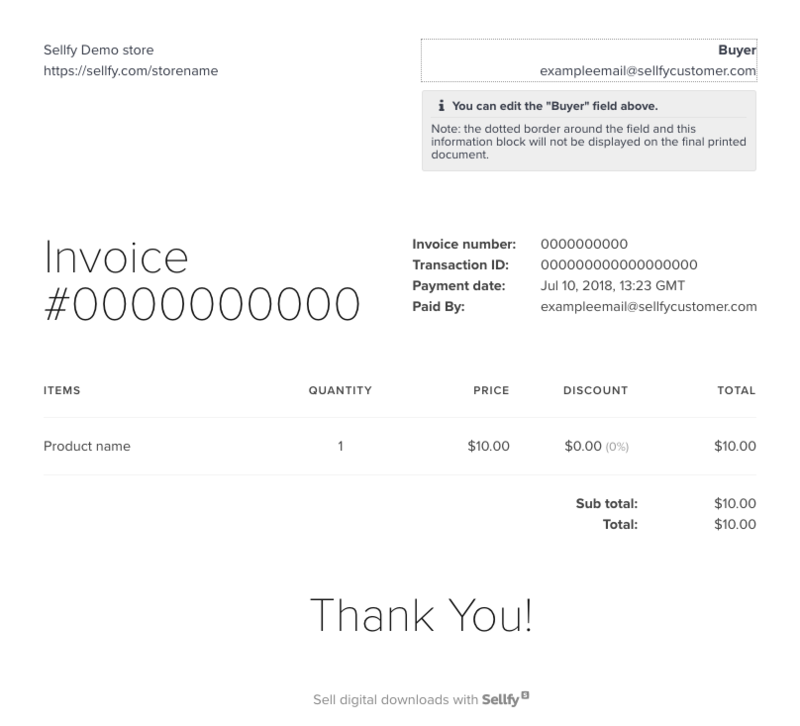 You can find your invoice on the Download page that you received to your email. Click on the View Invoice button on the download page to view it. Note: Free products come without an invoice. To save the invoice, take a screenshot of it. We also provide the editable invoice feature. This is intended for companies to input their details for accounting purposes as we don't require this information during checkout. By default, the buyer field will show the email address you entered when purchasing the product. Note: the information input in each invoice is not saved beyond the actual invoice. If you're typing the information in one invoice, you'll have to do it again for the other invoices. The information block and the dotted border will not show on the printed document.